The Rainbow Room is the perfect place for curious and playful two and three year olds. Children play happily here and feel safe and secure. We place a huge importance on the children’s emotional wellbeing, believing that the child who feels valued and loved is ready to learn and thrive. We will spend time with you as a family; getting to know you and your values. 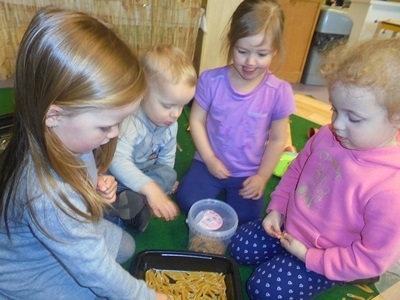 Communication is central to your child’s success at nursery and to help facilitate this, we will give you a verbal account of your child’s day when they are collected. This is also supported by a daily written report which is displayed on the information wall where we record snacks and meals, sleep times and experiences enjoyed that day. 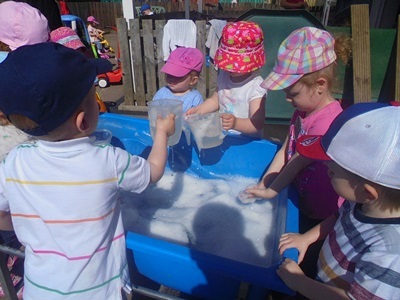 If you have a Facebook page, we often upload photographs to our own closed group (which is only accessible to parents of children who currently attend nursery) to show the fun things we get up to every day. Your child’s day will be filled with dynamic and appealing experiences, carefully designed to pique interest and gently lead your child further in their own learning. We spend time playing together in small groups and large and we make time for some 1 on 1 interactions. The children spend time daily outdoors, either in our exciting garden or out on a walk to one of our nearby locations. We have a duck pond, horses, a park and other amenities right on our doorstep! The staff team in the Rainbow Room are all fully qualified with lots of experience, both as practitioners and as parents. Your child will be assigned a key worker who will have the responsibility of recording their learning and success in their own portfolio of learning – these are available for you to browse through at your convenience. 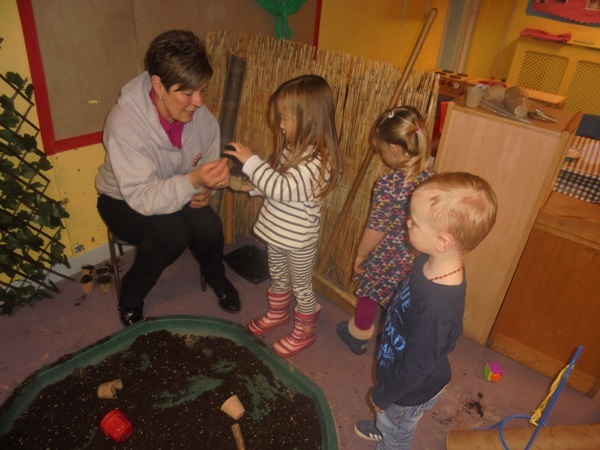 We follow the Learning Together in Dundee and Pre Birth to Three Curricula, which enable us to provide developmentally appropriate and challenging experiences and meet children’s individual needs. We are here to support your child at every stage of development – from zipping up coats, wiping a runny nose through to helping to succeed with toilet training. A cuddle and a friendly, encouraging word are never far away.